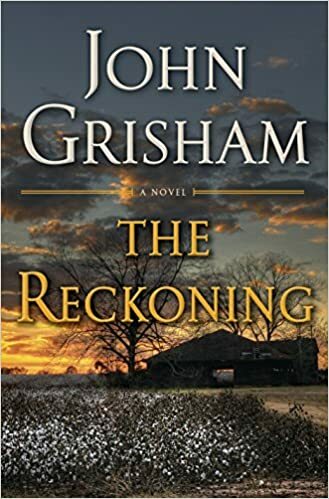 Here's my recent review of John Grisham's "The Reckoning: A Novel"
"Not Grisham’s masterpiece; but a page turner nevertheless"
Set in the Nineteen forties cotton-picking South, Grisham throws in an ample dose of gentleman farmer’s family, blacks-vs-whites and the war. It is a story of Pete Banning, Clanton's favorite son, and war hero who kills the pastor of the local Methodist church and surrenders with a simple statement 'I have nothing to say.' And ‘why he did it’ is the mystery that Grisham keeps readers hooked on till the very end. The first part of the book has a brief description of Pete Banning’s exploits and experiences during the war, but Grisham seems to relish taking us through the gory details of Guerrilla warfare. Even going past this to the end of the book, I was left scratching my head over the need for such detailed narrative on the topic of war. The characters of Pete’s son, Joel is rather well developed and much of the narrative is through Joel’s eyes. The unpredictable end, however, is a satisfactory anti-climax that explains Pete Banning’s reason for ‘why he did it;’ and how it all backfired on him and on the Banning clan. Tech Forecasts: what is the next big thing in 2019? It is the time of the year when consultants and analysts take stock of the technology trends and prognosticate over emerging technologies. There are many variances to the forecasts and the number of trends predicted, ranging from “top 5” to “top 20” and in-between*. 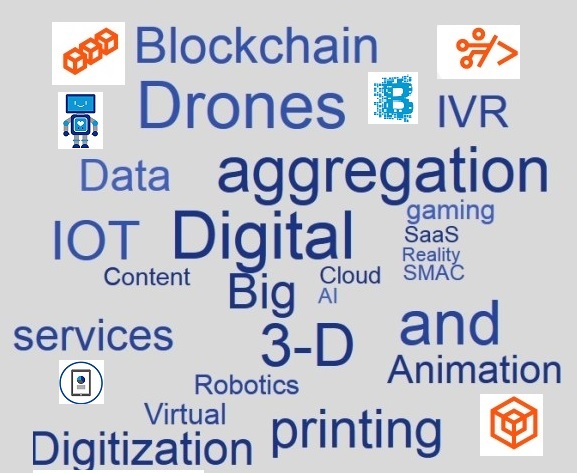 The predictions are around flavors of digital tools and technologies - AI/ML, big-data, SMAC, analytics, Big Data and a few BHAGS like autonomous vehicles and commercial space travel. Having spent the past couple of decades in the vibrant global tech world, I continue to study and reflect on these forecasts. When read collectively, they are a barometer of where the business investments are headed, especially since the major trends seem to converge on a few common themes. It is also obvious that most analysts glance at the short-term rear-view to ‘predict’ what they see bubbling to the top. In the past few years most of the promising emerging technologies were adopted by consumers before finding their way into the corporate world. The earlier generation of iPhones set the bar high for smartphones and consumer adoption eventually leading to BYOD in enterprises. Similarly, consumers began to experience ubiquitous access to WiFi and corporate IT began to follow suite. Machine Learning enabled Chatbots and digital assistants are re-defining consumer User Interfaces using voice and Natural Language to interact with systems. Blockchain – Even with the wild swing in the market for Bitcoins this year, tech watchers continued to keep the focus squarely on the underlying cryptographic techniques. Blockchain adoption has moved beyond pilot to production in several industry verticals. Adopting Blockchain techniques to enable trust and traceability between corporate entities will transform some segments of the industry; but it is primarily an underlying technology plumbing to enable Enterprise Architectures, and will be transparent to most users. This is because even the most innovative techniques in data and integration are primarily about enabling secure data transfer. Robotics and Automation – I spent the good part of this year strategizing and operationalizing Robotic Process Automation (RPA) for a Fortune-500 company. These Intelligent Automation techniques continue to make inroads without waiting for organizations to transform their business processes. The reason for this is rather straightforward: even as we move into 2019, there are too many gaps in legacy platforms and processes, that are either too expensive to transform or replace. This is the sweet spot that where adoption of intelligent Automation will continue to make inroads. Machine Learning and Cognitive Computing – Chatbots and intelligent assistants are appearing in a variety of internal and external facing corporate scenarios. However, these are just a small subset of use-cases. Most software vendors are beginning to embed AI and ML techniques into their technology platforms that include supply-chain and planning, recruitment, talent sourcing, big data and analytics, financial data processing and within ERP and CRM systems among others. Such adoption of AI and ML, while transparent to corporate business and technology teams are transforming usability of systems and productivity of users. So what do the technology forecasts mean to us? The year-end is certainly the time to reflect on changes personal and professional, but technology trends and innovations do not follow any calendar; especially not the Gregorian calendar. Depending on the nature of your role in an organization and its business, there are some technologies that will influence you and your business more than others will. Career question: Is LinkedIn a useful platform for Job hunting ? I don’t agree with the premise of the question that LinkedIn is for ‘sales people’. I am not a salesman, and I am quite active on digital platforms like Quora and Linkedin, and use the latter to network professionally. Here is my little story. A little more than a year ago, I moved back to India to be around for my aging parents (ref: What were your experiences moving back to India after getting US citizenship? What are the best ways to make this move?). I applied for an FMLA from my (then) employer and decided to job-search in Bengaluru where I was going to be based. As an Indian American, most of my old professional network in India had scattered in the years since I had migrated. Began actively contributing to the forums on Linkedin - Liking and Commenting on interesting articles, responding to queries and posts in groups that I was interested in. In a matter of weeks, LinkedIn analytics indicated that my profile was beginning to stand out among peers. Yes, I got a couple of interesting job offers and finally took up my current role. EA Q&A : Who are the potential stakeholders in an Enterprise Architecture program? Question 1> Who are the potential stakeholders in an Enterprise Architecture program? This is not an inclusive list, but just intended to guide you to explore the list of stakeholders. After you identify your stakeholders, you will need a Responsibility assignment matrix (RACI) to ensure you engage and communicate with stakeholders. Question 2> What kind of personal/technical skills are required for an information architect (IA)? I major in information science and planning classes for next semester. There are many ways of looking at Information Architecture (IA). In many organizations, Information gets granular when you engage with specific business, functional or technology Domains. Each will have a specific vocabulary, taxonomy and other business dimensions that you will have to gain expertise in. For example, an IA for a Finance domain may be different from that in Legal or Commercial areas. The TOGAF Standard, Phase C: Information Systems Architectures - Under IS Architecture, TOGAF takes into account Data and Application Architecture. As you plan to major in information science, you could broaden your knowledge by taking some courses in functional domain areas.